North Korea has up to four times as many nukes than previous estimates, and is working to master placing nuclear warheads on missiles, according to an influential Website tracking North Korea’s nuclear developments. This new assessment of Kim Jong Un’s nuclear arsenal revises it upward—way upward. Previously, most estimates reckoned that Pyongyang had only a handful of large, unwieldy, possibly unreliable nukes incapable of fitting onto ballistic missiles. These old estimates may be dangerously wrong. Joel Wit is a former State Department official and editor of the prominent Website 38 North. On Feb. 24, Wit claimed that Pyongyang has 10 to 16 nukes, much higher than the widely-estimated four to seven nuclear weapons in North Korea’s arsenal. Worse, Wit estimated North Korea’s rate of fissile material production should lead to dramatic increase in the country’s future nuclear weapon stockpile. Wit claimed that by the end of the decade, North Korea will be able to deploy 20 nuclear weapons … at the very minimum. A more likely scenario puts Pyongyang’s stockpile at 50 nukes by 2020, and under the worst case scenario, up to 100 nukes. 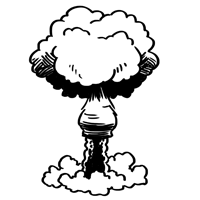 Pyongyang’s largest nuclear weapons have an estimated explosive yield of 50 kilotons. That’s about three times the power of the bomb that destroyed Hiroshima and killed 135,000 people. A 50-kiloton atomic bomb dropped on a city as dense as Seoul could result in 269,000 fatalities and more than one million injuries. Further, Wit projected that North Korea was much further along in developing nuclear warheads than previously believed. By 2020, Pyongyang should be able to install miniaturized warheads on short-range Nodong and long-range Taepodong-2 missiles. The Nodong and the Taepodong-2 are capable of striking targets throughout Asia, while the latter might be able to reach as far as Alaska. To add to the worries, North Korea is developing missile-carrying submarines and submarine-launched ballistic missiles. Which poses a befuddling question. Why would the impoverished country work on such weapons if it has relatively few nuclear bombs, and is unable to squeeze them down small enough to fit on missiles? If Wit is correct, it’s because North Korea anticipates having enough miniaturized warheads to put at least some of them to sea. On Jan. 23, North Korea tested a submarine-launched ballistic missile, according to the Washington Free Beacon. American military ships and aircraft observed the missile, which analysts named the KN-11. 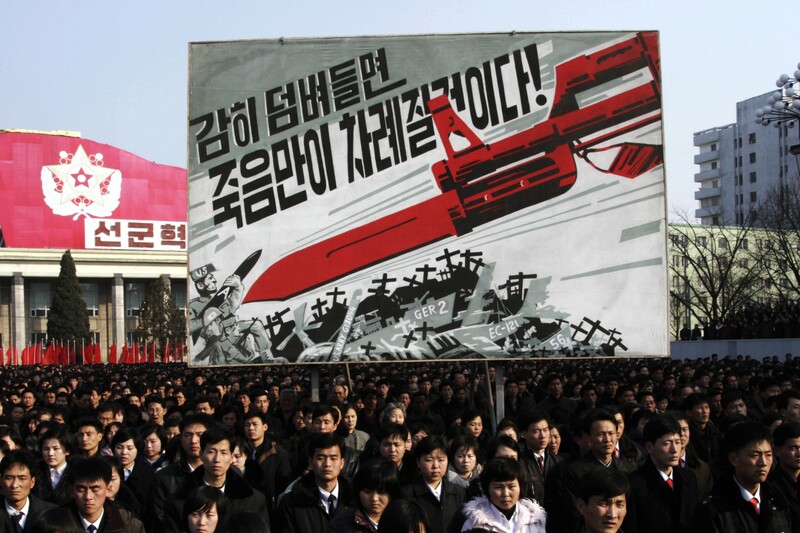 North Korea tested the missile from a ground platform. The United States’ intelligence community assigns the “KN” prefix to North Korean rockets and missiles. KN-02, for example, is likely a copy of the Soviet SS-21. A short-range tactical weapon, North Korea could launch the KN-02 at bridges, ammunition dumps and airfields not far behind enemy lines. But prior to the January test, nobody outside of U.S. intelligence had even heard of the KN-11, leaving many North Korea watchers scratching their heads. One possibility is that the KN-11 is a descendant of the obsolete Soviet SS-N-5 missile—one of the USSR’s first submarine-launched ballistic missiles. Soviet Golf-class submarines regularly carried the SS-N-5s during patrols. North Korea allegedly received 10 Golf-II class submarines in the 1990s, ostensibly for scrap. The question is—how much did the North learn about submarine-launched ballistic missiles from these submarines? We may soon find out. This activity may also explain why the U.S. is eager to deploy the Terminal High Altitude Area Defense system to South Korea. 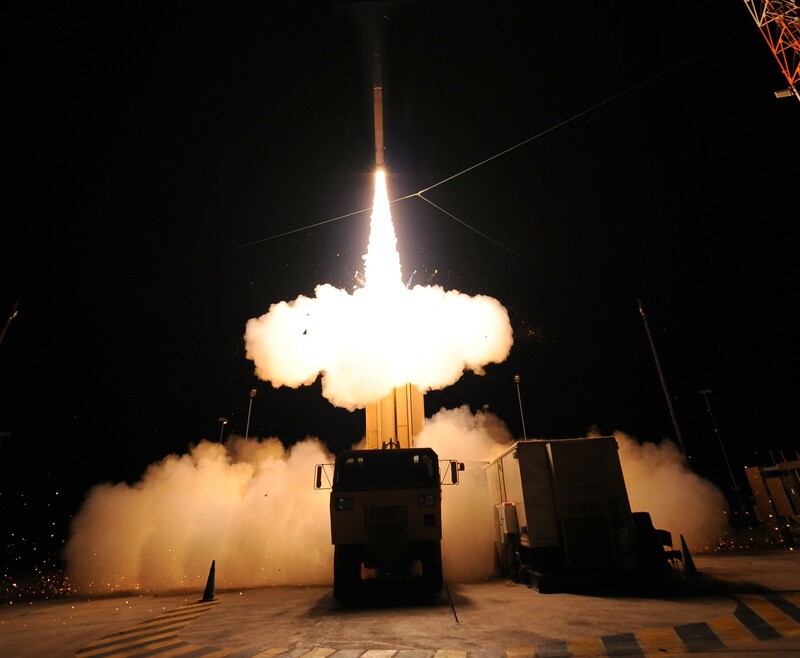 The THAAD system uses a hit-to-kill interceptor to destroy incoming ballistic missile warheads at ranges of up to 125 miles. The U.S. has deployed THAAD to protect the Hawaiian Islands and Guam, and has requested permission to deploy THAAD to South Korea. Seoul has stalled on the deployment, and many South Koreans have objected that it would put the country on the front lines of a destabilizing U.S. missile defense shield. China has voiced objections to basing THAAD so close to its borders. There’s one overriding reason why Pyongyang wants nukes—and lots of them. A large nuclear stockpile, and the means to deliver it, leads to an independent and secure North Korea. In other words, the U.S. and South Korea couldn’t consider military action against the North without triggering a nuclear reprisal. The U.S. also couldn’t use coercion to lure a nuclear-armed North Korea to the diplomatic bargaining table. Pyongyang, of course, will still want reunification with the South—on its own terms. Kim Jong Un may calculate that having nuclear weapons makes him safer, but the opposite may be true. If North Korea continues to provoke South Korea with attacks such as the 2010 sinking of the South Korean corvette ROKS Cheonan and the shelling of Yeonpyeong Island, it may start a crisis that it cannot control. At a certain point, the U.S.—and possibly China—will have to decide whether or not the entire region is safer without North Korea. Are the risks entailed in removing the nuclear threat worth the reward? If the answer is yes, the next step is that the North Korean leadership, and its nuclear weapons, will simply cease to exist. That, and what comes next, will be terrifying, unexplored territory. The 38 North report is a significant revision of North Korea’s capabilities. It should scare people. If true, it has dire consequences for the U.S., South Korea and Japan. South Korean leaders, in particular, have dragged their feet on constructing a ballistic missile defense shield. At the very minimum, the report represents a road map to what North Korea wants. A more dire possibility is that the minimum is fading quickly in the rear-view mirror, and the reality is that we live in a far more dangerous world than we believed just two weeks ago. The North Korean Army Is Rusting Away—But Does It Matter?